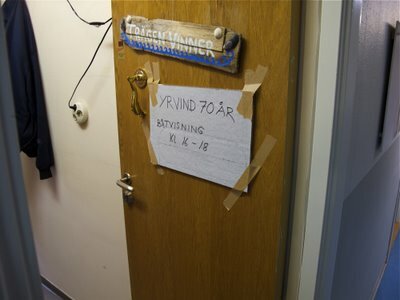 Sven has celebrated his 70 year birthday, 22 of April. 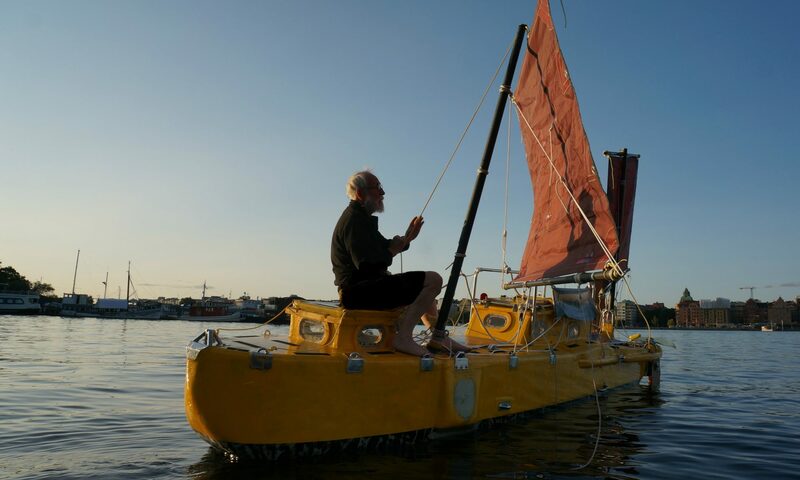 His ordinary plan was to be ready with his boat at this very special day. Now he realized that the party have to wait and the start of his long and hazardous journey to Cap Horn will be at a later time. 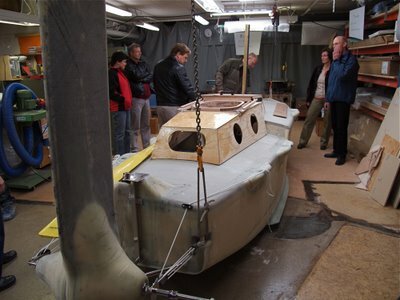 Building a boat, even a small one, will take time and as with a lot of other big projects – they will be delayed. We – his friends – are in fact not so disappointed about that, as we now have the opportunity to enjoy his very special person even the coming year. 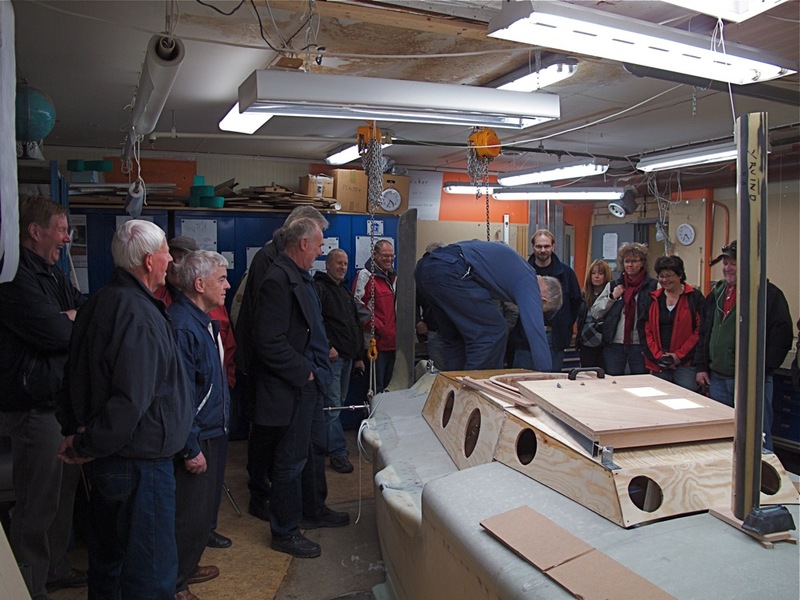 The 70 year birthday event was held in his own workshop. 40 or more people where visiting him under the two hours he let the door open. Almost every one had his own question to ask. Sven answered them polite in his special manner. 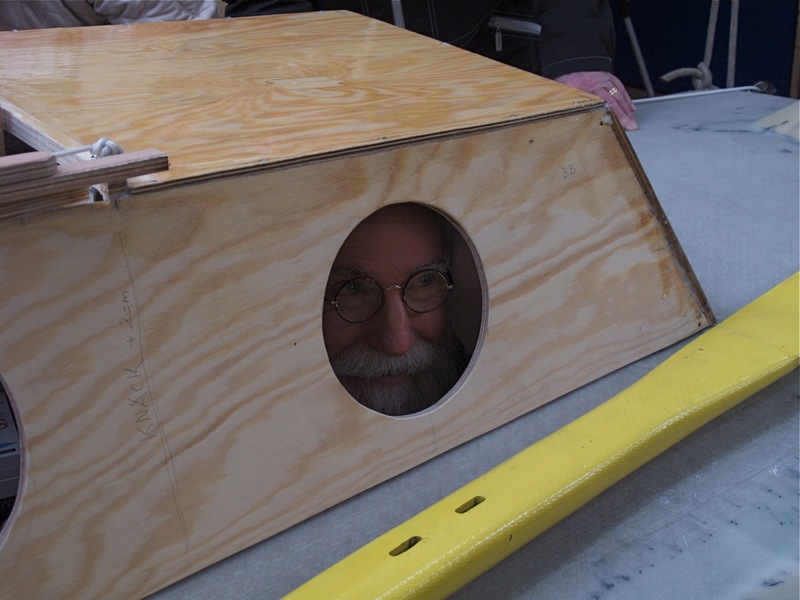 He also jumped into the boat in purpose to show how he take place inside. 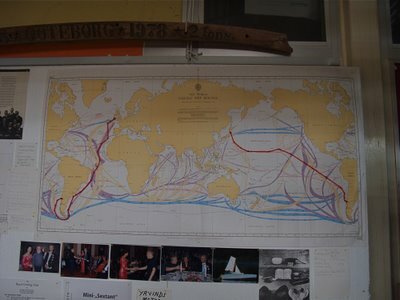 As you can see on some of the pictures below – there isn´t much headroom. 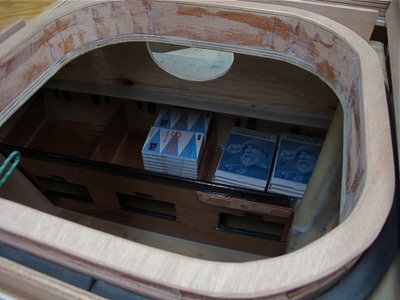 The boat itself looks very special with it´s Chinerunner concept. 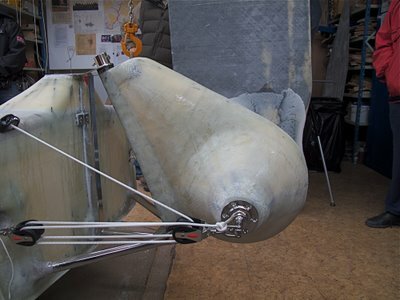 Sven decided to use this technique instead of an conventional keel, as he have become inspired of the American small boat designer Matt Layden. For Me, the rudder construction looks most impressive. A huge rudder almost reaching the ceiling in his workshop, now pointing 180 degrees from it´s normal position. 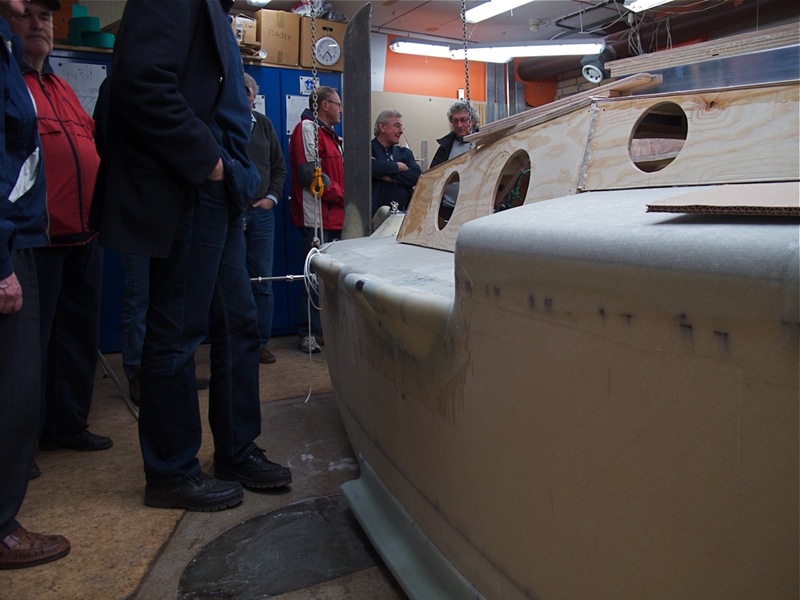 Sven explain – the rudder is a part of the lateral plane and need to be that size. 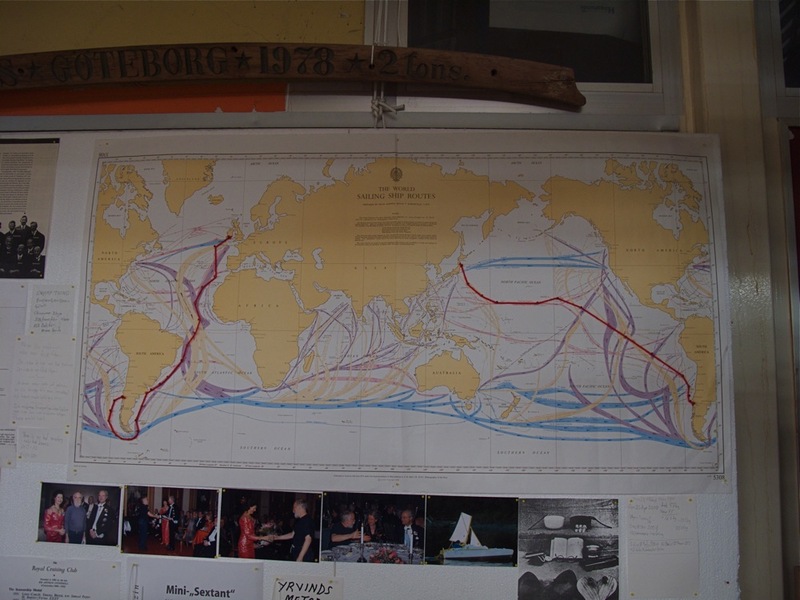 And I also like to be able to steer the boat and have good control when she´s running the heavy waves in the South Atlantic. When some of his birthday congratulators realized that he was going to ride such a big waves with this little tiny boat, they get shocked. 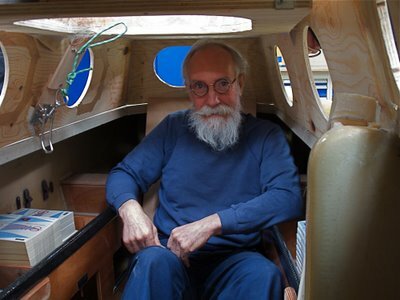 But Sven assured – no problems, a small boat like this is more secure then a big one. So when the two hours audience was over We got a clear view over the project, both the philosophy behind and how Sven is constructing and building the boat. And I would like to say – So far so good – with Sven and his new boat.